BOSTON, MA. 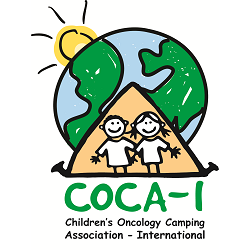 -- March 13, 2018 --- Camp Casco, a nonprofit organization offering free camp experiences for childhood cancer patients and survivors, announced today that it will host its first annual 5K Walk/Run for Cancer Survivors to unite community members through a family-friendly 5K celebrating local cancer survivors. The 5K will take place on May 20, 2018 at the Arnold Arboretum in Boston. One-hundred percent of the funds raised will directly support Camp Casco’s annual summer camps and family engagement events throughout the year, creating lasting support networks between families impacted by childhood cancer. The event will bring together athletic and running enthusiasts of all abilities together to support the battle against childhood cancer. Children under the age of 5 and cancer survivors of all ages can participate for free. All participants will receive a free race T-shirt at the event. Registration fees are $35 for adults (18+) and $20 for children (5-17). Supporters do not have to have to live in the Boston-area to participate. Anyone can sign up to be a virtual runner or walker and complete a 5K course in their hometown. For more information on the event, to volunteer, register, fundraise or become a sponsor, visit https://www.campcasco.org/5k/about. For questions, please reach out to race director James Gullbrand.